The fourth month sleep regression is such a stressful time! Your little baby suddenly starts sleeping significantly less and you don’t know what to do. Anyone who has been through it can look back and maybe have some ideas for how to weather that more easily or at least with more grace. Wouldn’t you have loved to hear words of encouragement from other parents who had been there? Here is your chance to help out other parents! Did your child have a sleep regression at four months? 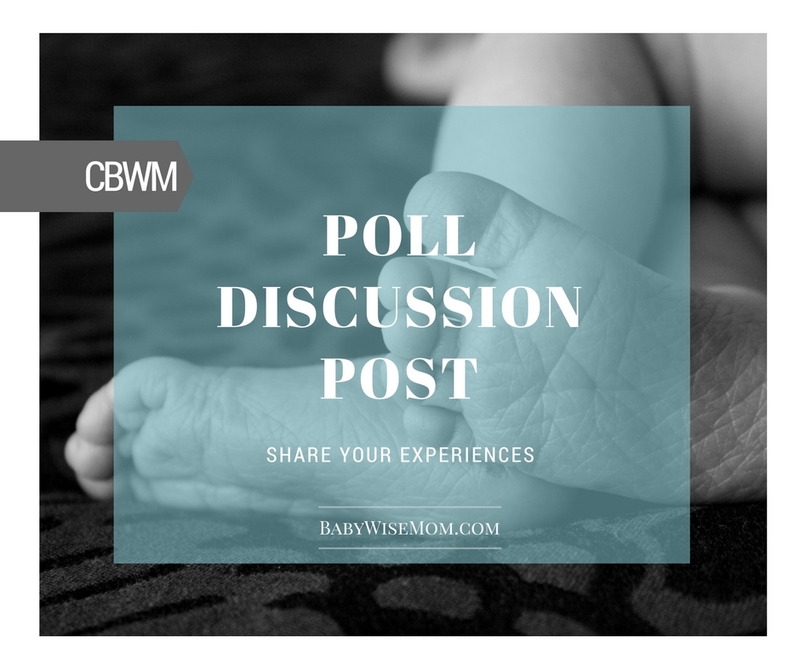 Is there anything you did that helped your baby sleep better? Is there anything you did to help yourself mentally manage the regression? Is there anything you would do differently in retrospect? Is there any advice you have for parents in the trenches of of the four month regression? Did your child have a sleep regression at four months? YesHow long did it last? Age 3.5months and counting (we're at 4.5 now). Although we have only had 1-2 very bad weeks during leap 4.Is there anything you did that helped your baby sleep better? I tried to keep feed times consistent and if she slept for her full naps great, if not we would get her up and play. She was a little bit grumpier but was better than having her screaming in her room. She often woke at the 45 minute mark so I would get her up, pretend it was a new cycle (minus the feed), play for a few mins and then go through nap wind down routine again. Sometimes this worked, sometimes it made her really upset. We've also decided to drop the swaddle this week and this seems to have solved our 45 minute intruder problems or at least improve them. Is there anything you did to help yourself mentally manage the regression?Pray!!!! …and have good support from my husband. Ignore other people's well meaning advice to a certain extent (it could be teething, try rocking her, just let her cry etc. )Is there anything you would do differently in retrospect?Try dropping the swaddle earlier. Is there any advice you have for parents in the trenches of of the four month regression?It's only a season. Try not to worry too much about getting baby to sleep and spending all day doing this. Try and keep as consistent as possible. Dont plan any big trips etc. , wade it out and enjoy your baby while they're little. Did your child have a sleep regression at four months? yes, just a bitHow long did it last? a few weeksIs there anything you did that helped your baby sleep better? nights were fine. We were already 12 hours by then. Naps were tough. I started nap training using partial extinction by Weissbluth. Example: I let them cry for x minutes, check quickly, walk out. Minutes = weeks old I did this at the beginning and if they woke up during the nap until there was less than 45 min of the nap remaining. Then I held/rocked/or did a very quiet activity in the dark nursery until feeding time.Is there anything you did to help yourself mentally manage the regression? Went outside so I didn't have to hear the crying. Brought the video monitor but turned off the sound. Did outside chores, planted flowers. Something that I couldn't end quickly and would take concentration yet was relaxing.Is there anything you would do differently in retrospect? I rarely if ever rocked to sleep prior to shots, but I felt bad for them so I rocked to help get through the fussiness for 1 day. Then I liked the sweetness of it, so I did it again for several days which created a bad habit and I had no choice but to do nap training. I would have instead still put down drowsy instead of fully asleep. I created a problem that I didn't have before. Is there any advice you have for parents in the trenches of of the four month regression? Begin as you mean to go. Enjoy the cuddles but realize that you'll get lots of love and cuddles when they wake up happy and refreshed after a good nap or a good night's sleep.